Da ba dee, da ba “Bye”. We start off the top ten with this track from the California band and their third hit (fourth single overall) from their 14:59 era. “Falls” was produced by David Kahne and co-written by he and the group. It may not have had the longest shelf life on the charts, but it did make an impact and drove its parent album sales to over 3 million copies in the U.S. alone. They last made my top 40 in 2005. Coming off a big #1 on the pop chart, “All Star”, Steve Harwell and the boys had to follow up their summer anthem with this chilled-out track just in time for fall and winter. Lifted from Astro Lounge, their only top ten album on the Billboard 200, the song rose to #11 on the Hot 100 and cracked the top 5 at CHR radio. Sadly, night had to fall on “Morning” and the band’s success diminished after it. I was one of the many who had a chuckle or two when the music video for this used to air on Total Request Live, parodying recent clips at the time from the Backstreet Boys, Britney Spears and more. Plus, who can’t resist a good “na na na na” chorus? Simple, yet effective. “Small” remains their trio’s largest single to reach my chart, which they last entered in 2004 with the ballad “I Miss You”. Hey man, nice song. The rockers out of Ohio burst onto the scene in 1995, but it wasn’t until 1999’s Title Of Record that they reached their commercial peak with this top 5 Alternative record. It was inspired by frontman Richard Patrick’s drunken adventures on a plane trip. This would be their only song to reach my chart, though they’re still together and reached the rock charts as recently as 2013. The Latin explosion in 1999 brought us a lot of great new acts and Iglesias was one of them with his English breakthough hit, “Bailamos”. This was the next release, which wasn’t nearly as big, but still made the top ten on my chart. The singer is still at work on his next album, another bilingual effort. Three English singles have been issued from it so far; the most recent is “I’m A Freak”, with Pitbull. Representing for Canada, Dion is the only performer from the Great White North in the week’s top ten. The song was co-written by Max Martin, which was unusual at the time because he was known for his work with teen pop acts. However, “Way” was yet another hit for the diva and helped her first greatest hits compilation, All The Way… A Decade Of Song, rise to #1. She last went top 40 in 2008. It led the pop radio chart for five weeks and ranked on the Adult Contemporary for what seemed like an eternity; this was one big song you heard everywhere back in the day. It was also coming off a run atop my own list. The Australian duo would rank two other singles on my chart, “Crash And Burn” and “Affirmation”, before splitting in 2001. Darren Hayes charted as a solo act beginning in 2002. 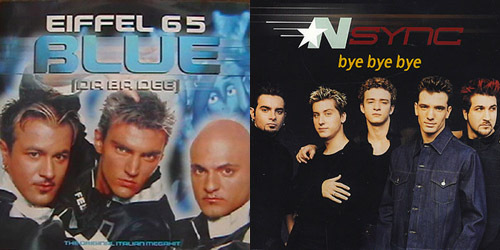 There was about to be a boy band battle brewing on the survey with the high debut of *NSYNC‘s “Bye Bye Bye” and this quickly rising ballad, which was up to #3 after just six weeks on the chart. “Lonely” had a pretty dramatic, but memorable video, one that I remember seeing quite a lot on television. This would eventually hit #1 later that month before it was knocked out by “Bye” in February. Long before the Lotus rose and the Bionic woman claimed that she wasn’t herself on that particular night, Aguilera was deep in the heart of her debut era and continuing to shine with this light and fun single. Certified Gold, it went to #1 on the Hot 100 for two weeks, though it was kept out of the top spot on my own chart. She would rack up another two big singles from her self-titled album in 2000. In 1992, three friends based in Turin, Italy began their ride to a huge worldwide hit, a novelty song about a man stuck in a “blue world” emotionally and physically. It was addictive, and for three weeks in January 2000, it ruled my chart. Unfortunately, the song wore out quickly, and after a minor followup in “Move Your Body” (which did much better in Europe), their days on the U.S. scene were done. After two more moderately successful albums in their homeland, they broke up, but reformed in 2012 to tour. Dion and Hercules: snow way! Recently featured on the original soundtrack to The Hunger Games: Catching Fire, “Atlas” spent three weeks at #1 on my personal chart. Mrs. Dion is currently promoting her latest studio album, Loved Me Back To Life, the title track recently charting at AC radio. Mr. DiMucci hasn’t been on the Hot 100 since 1989, though he’s charted several efforts on the Top Blues Albums survey since 2006. The Austrian performer became one of the two Austrian acts in the top 40 at the same time (Opus being the other) in 1986. He died in 1998. The English band out of Birmingham last made the Hot 100 in 1988 with a minor top 40 single, “I Know You’re Out There Somewhere”. Technically, there hasn’t been an artist or song named after Hercules to break the charts. 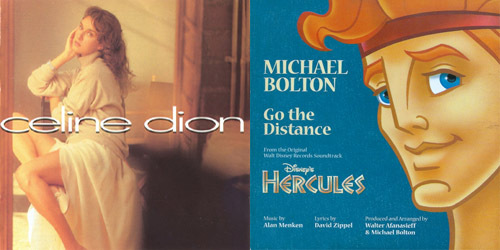 However, a song from the soundtrack to Disney’s Hercules peaked at #24 on the Hot 100 in 1997: “Go The Distance” by Michael Bolton. Could we see these storms be named in the future months to come? Haywood may have only taken one of his songs into the top 40, but it’s an oft-sampled one, including use by Dr. Dre, 50 Cent and others. Singer-songwriter Russell last entered the Hot 100 in 1976 and released an album with Elton John, The Union, in 2010. From Brooklyn, this rapper only charted once, though the song did slightly better on R&B radio. An album, released on Epic, also tanked. The band, who only lasted one self-titled album and a year total, was a side project from several members of rockers Boston. The duet, which was featured on the soundtrack to 1989’s Batman, was the lowest charting Hot 100 single from that era. Allen had a handful of significant Country hits in the 50’s and 60’s, this one reaching #4 while just missing the Hot 100’s top ten. Teen idol Smith starred in the made-for-TV film Sooner Or Later in 1979 as singer Michael Skye, which featured his biggest hit. The only band in the bunch were more successful in their native U.K., but “Gong” was a big hit on both sides of the Atlantic. From season one of The Voice, this young singer was a finalist on Blake Shelton‘s team. She hasn’t charted since her on time on television. The legendary band is last, but certainly not least on here. The single from By The Way charted moderately and gained some pop airplay. Which stormy single(s) are your favorite(s) from the ones listed above? Is there another non-charting song you enjoy? Let me know! Comment below or click the “Get Social!” tab to find PGTC on social media. From his glorious double album, This Delicate Thing We’ve Made, this was one of three tracks by Hayes in the top 40 this week with the debuting “Casey” at #40 and a former #2 song, “On The Verge Of Something Wonderful”, falling to #39. “Me” would end up stuck at #10 for three straight weeks. 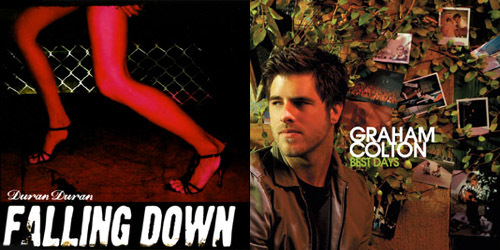 Four songs from his most recent album, 2011’s Secret Codes And Battleships, ranked on my weekly chart. Taking a leap up from #15, this is the first of two songs in the top ten for the band and their third consecutive top ten single from their first #1 album, It Won’t Be Soon Before Long. The era was led off by the funky “Makes Me Wonder”, which debuted in the top spot in April and stayed there for eleven weeks. “Won’t” was only a mid-charter on the Hot 100, but it did go top ten in Australia and Belgium. The title track from Dion’s tenth English album was written by former American Idol judge and songwriter Kara DioGuardi and Eurythmics‘s Dave Stewart and originally recorded for their band Platinum Weird. However, Dion ended up with the hit version during that fall, a big top ten single at her core radio format, AC. Her latest studio album, Loved Me Back To Life, was released in November. Here’s the second single by the band, which peaked at #3. A remix of the song featuring Mary J. Blige was released in November of that year as remixed by Mark Ronson. The band is currently receiving some limited airplay with “Lucky Strike”, an unofficial fifth single from their album, Overexposed. Lead singer Adam Levine is doing well on this season of The Voice with three finalists in the top 5. Co-produced and co-written by Justin Timberlake, who participated in a large chunk of their album Red Carpet Massacre, this was the first single from the set. While the single tanked globally, it did reach a surprisingly strong #2 in Italy. The parent album became the group’s ninth top 40 release on the Billboard 200. The now quartet last made my personal chart in 2011 with “Leave A Light On”. Canadian singer-songwriter Bell was one of the breakout stars on my chart in 2007, placing two consecutive singles in the top 5: “Yesterday Man” (#2) and this song, which got as high as #4. After one more minor entry in 2009 titled “Heart Attack”, which just missed the top 20, Bell has yet to make my chart again. However, he’s still uploading music on his SoundCloud account via his own label, Enacy. Back in 2007, Rob Thomas and the guys were promoting their first greatest hits compilation titled Exile On Mainstream. The single was a radical shift in sound for them, an energetic and quick-paced number that totaled five weeks at #1 on my chart, their biggest hit as a band to date. They’ve charted since and have a pair of singles vying for placement in my Top 100 of 2013: “Our Song” and “Overjoyed”. Originally out in 2006, “Apologize” didn’t become a hit until it was remixed by producer Timbaland and slapped onto his top 5 album Shock Value. Then, it burned up the radio charts, at one time holding an airplay record for the most spins in one week at the CHR format, and launched frontman Ryan Tedder‘s career as a star producer and writer. It topped my chart for three weeks, their only #1 thus far. You might remember this song being featured on American Idol early on in its seventh season. “Best” remains Colton’s biggest single to reach my survey, spending three weeks at #1. 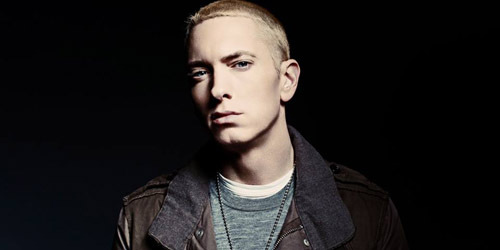 In 2011, he rose to #5 with “Pacific Coast Eyes”, and that’s been his last charting to date. The Oklahoma singer is in the process of putting together a new album, Lonely Ones, due in 2014 after a successful fundraising project. Topping it all this week back in 2007 was this song from a local guy, born about 45 minutes from here in Lexington, MA. “Car” was the first single issued from Nathanson’s album Some Mad Hope, and while it only did modestly well at the AAA and Hot AC formats, it took a slow ascent up my chart and hit #1 in its 23rd week in the top 40, the longest run to reach the top ever. Both “Kinks Shirt” and “Mission Bells” from his most recent album, Last Of The Great Pretenders, made my chart and peaked in the 20’s earlier this year. All that Mathers this week. Just looking for the classics this week? Look no further than Bob Dylan‘s The Complete Album Collection, available digitally by decade: 60’s (iTunes), 70’s (iTunes), 80’s (iTunes) and 90’s (iTunes). Also of note this week is Miami Pop Festival, recorded live in 1968 from the Jimi Hendrix Experience (iTunes). Other albums out this week include Il Divo‘s A Musical Affair (iTunes), Jake Miller‘s Us Against Them (iTunes), Luscious Jackson‘s Magic Hour (iTunes), M.I.A.‘s Matangi (iTunes), Scott Stapp‘s Proof Of Life (iTunes) and Stryper’s No More Hell To Pay (iTunes). Lady Gaga’s ARTPOP will be the talk of the town next week; find out about it and more coming up next Tuesday! A Grande entrance to the album chart. My picks of the week come from two bands out of the United Kingdom who are just breaking here in the States. Bastille is out with the U.S. release of Bad Blood (iTunes), led by “Pompeii” (the current #1 single on my chart), while The 1975 debut with a self-titled album featuring the #5 song my top 40, “Chocolate”. (iTunes) Both are favorites on Alternative radio and should do well with the public both first week and in the long term. Other albums out this week include Craig Morgan‘s The Journey: Livin’ Hits (iTunes), One Day I’m Going To Soar by Dexys (formerly Dexys Midnight Runners of “Come On Eileen” fame) (iTunes), Trouble by Natalia Kills (iTunes) and UB40‘s Getting Over The Storm (iTunes). Next week, the players include hot country star Keith Urban and the funky futuristic Janelle Monáe — will either go to #1 with their latest releases? A preview is coming in seven! Once a year, dozens of European nations come together for the Eurovision Song Contest, in which each country picks an act who performs their song live on television, after which they are voted upon and a winner is crowned. This year, the Contest is being held in the city of Malmö, Sweden, with a tagline of “We Are One”. 39 countries are participating in this event, and after two semi-finals earlier this week, that pack is down to 26, who will perform in the live final later on today. You can stream it at Eurovision’s official website or if you’re outside of North America, you can probably find a national broadcaster that will air the show on television. In the U.S., we generally aren’t in the loop with what goes on at Eurovision. We don’t even have our own Amerivision where all fifty states could participate in a contest such as this. (Wouldn’t that be fun?) Despite this, we’ve seen established acts in the United States go onto success at the annual contest. Cliff Richard and Katrina & The Waves have both scored highly for the United Kingdom with their original songs, though those specific compositions were never issued in the States. In 1988, future superstar Celine Dion, representing for Switzerland, won that year’s contest with the French song “Ne Partez Pas Sans Moi” (“Don’t Leave Without Me”), competing against Luxembourg’s Lara Fabian, best known for her 2000 single, “I Will Love Again”. This year, German dance and electronic act Cascada, who hit the top ten here in 2006 with “Everytime We Touch”, will be competing for Germany with “Glorious”, which has yet to see a release here. There have also been a few cases of songs that did well at Eurovision that became hits in the United States in an alternate version or cover. For example, fourth-place entry at the 1967 Contest, “L’amour Est Bleu” by Luxembourg’s Vicky Leandros, became a #1 on the Hot 100 the following year in an instrumental version by Paul Mauriat, “Love Is Blue”. To date, only four finalists from the Eurovision Song Contest have ever made the top 40 on the Hot 100 in their original form by the original artist or band. Remember these pop ditties? Here’s the biggest act to come out of Eurovision with the amount of international success that the group has had. Back in 1974, the quartet competed with their debut single, “Waterloo”, and it won the Contest by six points, giving the country their first ever win. Released in both English and Swedish versions, the song did very well all over Europe and also cracked the top ten in the U.S., going as high as #6. 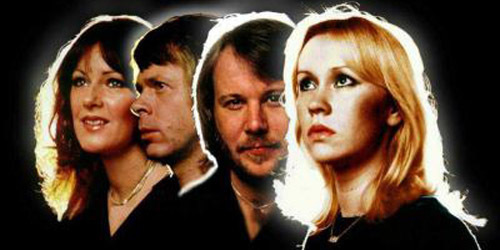 ABBA would have a total of fourteen songs hit the Hot 100’s top 40, with “Dancing Queen” going to #1 in 1977, their biggest single. They last charted in 1982 and have never created new material together since that date. You may recall that this group first made the top 40 in the U.S. as a quintet with their song “United We Stand”. It went to #13 during the summer of 1970. Six years later, a totally revamped group reduced to a quartet, all new members, won that year’s Eurovision Song Contest for the United Kingdom, and became so popular that it registered a minor charting here nationally, as well as a #1 on the Adult Contemporary chart. Though it reignited their career in their homeland for several more years, this was it for them in the U.S., and the song quickly faded away. The quartet is still together today and play live on occasion. Australian-born Gina G was the United Kingdom’s pick for the 1996 Eurovision Contest, though her song ranked in 8th place when all was said and done. However, it did climb to #1 in the United Kingdom, the last single (thus far) by any participating act from the U.K. to hit #1 on that country’s Singles Chart. Several months later, the song charted in the United States, becoming a top ten radio hit and a #11 smash on the Hot 100. Though she had a string of large singles overseas, she only charted one more time here with the #46 “Gimme Some Love” in the summer of 1997. She’s largely done with recording and performing. Check out the 2013 Eurovision Song Contest when it airs later today. I’m personally rooting for Denmark, Finland, Ireland and the United Kingdom! Let me know your picks in the comments or on Twitter: @AdamFSoybel.